Fly Apparel For The Fly Fisherman | FISHING FURY - A Fishing Blog with Attitude! The Fly Trout is the brilliantly illustrated and iconic character created by Joe Pino. You may not have seen The Fly Trout before, but chances are you’re going to start seeing a lot more of him. Joe has created over 10 unique and fantastic designs on shirts, hats, and even paracord bracelets. 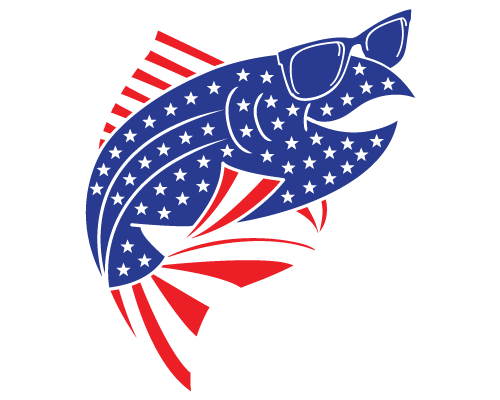 In honor of Independence Day Joe has not only added a new character to his lineup, the Red, White, and Bluegill, but he’s also running a fantastic contest where you could win his two newest shirt designs! That would be one monster bullhead!! !